“I do not believe that I should be removed from caucus for doing my job and for doing what I believe is right,” she told reporters Monday evening as she left the House of Commons. Ever since Wilson-Raybould revealed that she had secretly recorded a conversation about the SNC-Lavalin affair with Clerk of the Privy Council Michael Wernick, then turned that recording over to the justice committee, her Liberal colleagues have been talking publicly about dropping her from the caucus. “With respect to the audio recording, I’ve heard some caucus members make comments,” Wilson-Raybould said. “The conversation I had with the clerk … he’s not a member of the Liberal caucus, he’s not my client by his own admission. 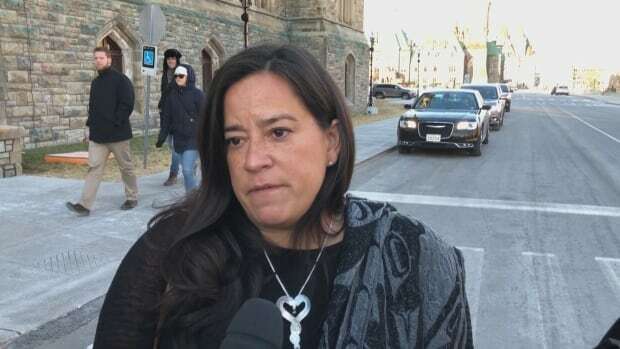 Wilson-Raybould said she made the recording because she felt a need to protect herself in an “extraordinary situation” where she felt her position as attorney general and minister of justice was under threat. On Friday, Wilson-Raybould provided an audio recording she made of a conversation she had with Wernick, Canada’s most senior public servant and the deputy minister to Prime Minister Justin Trudeau. Wernick was not aware he was being recorded. Many Liberal MPs have expressed dismay with Wilson-Raybould’s decision to make the secret recording, saying it violated their trust. Oliphant added that unless Wilson-Raybould expresses direct confidence in Trudeau as prime minister she should leave the Liberal caucus. Asked if she had that confidence, the former justice minister refused to directly express confidence in Trudeau and chose instead to repeat her comments that she was elected as a Liberal, she believes in the party’s policies and she wants to continue in that regard. Wilson-Raybould said that despite her colleagues’ concerns, she has been working hard for her constituents and should be allowed to remain a Liberal MP.